The Exposure TraceR MK3 is an intelligent and extremely lightweight rear lighting for commuting, road cycling and Time Trial. The Ambient Kinetic Technology (ReAKT) allows the rear light to automatically flare under braking and when entering areas of higher ambient light, such as inside cities, to create a contrast in brightness. Updated with Peloton mode utilises ReAKT Technology for use in a chain gang by dimming upon detection of a rider’s front light, preventing a dazzling effect, but flaring up as a beacon at the tail of the pack. With a DayBright flash pattern and side illumination creating 180 degree visibility you can always feel safe on the road. 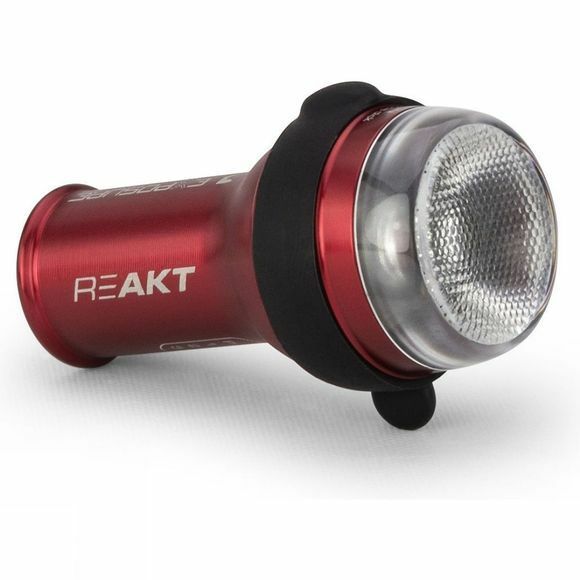 Other useful technologies like Intelligent Thermal Management, Optimum Mode Selector and a clever Cable Free Design make this a top of the line commuting, road cycling or time trial light. The TraceR MK3 ReAKT Peloton, Seatpost bracket, Micro charge cable.